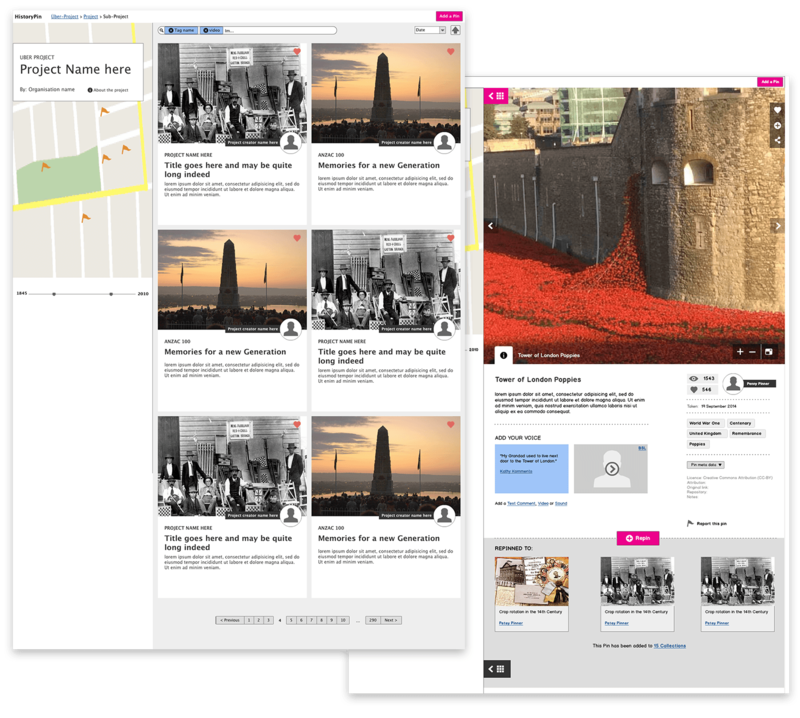 Historypin called me in to help their team come up with a way of displaying thematic or sponsored exhibitions on their platform (specifically for the centenary of the First World War). 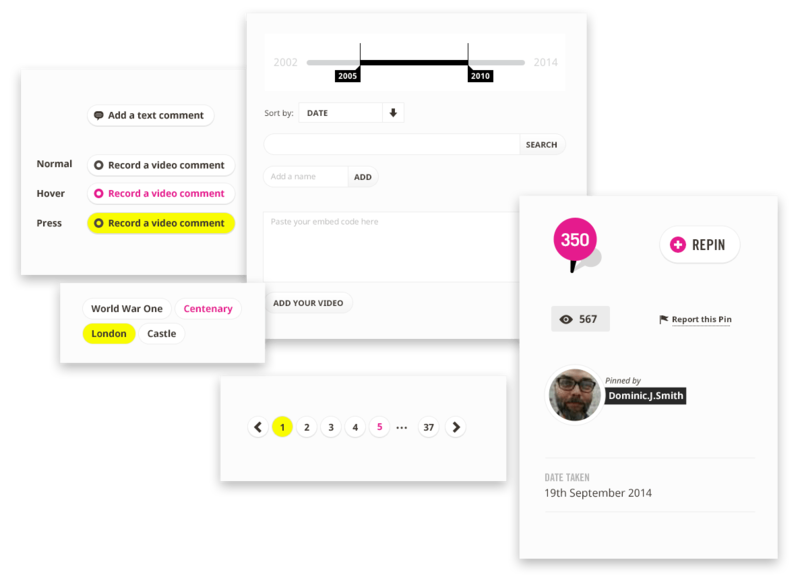 As we got into the process we found that the “card” based UI I’d designed was a much more usable, more scalable and flexible way of displaying and categorising their existing content across the whole site. I worked with their in-house and external development teams to redesign the UX and visual design to extend it to the rest of the site.